For Pet Partners, you need to have a certificate of health completed before you and your pet are able to be evaluated for therapy work. 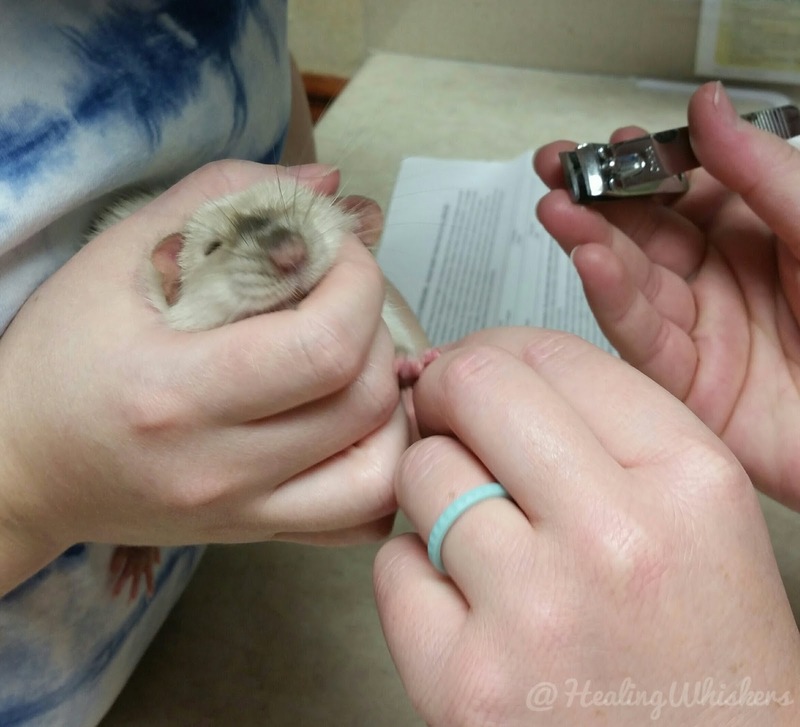 We went off to the vet for a wellness check! "Excuse me, why am I in a box?" I brought both Jasper and Oliver and it turned out Jasper was due for his 6-month checkup so we had a twofer visit. Everything went well. Weight was good, nails trimmed, everything looked at. Jasper wasn't having a good time when the vet wanted to look at his teeth, he pitched a big ol fit, but he has a low-stress tolerance anyways. Oliver was very chill and was taking a nap in his Christmas basket. 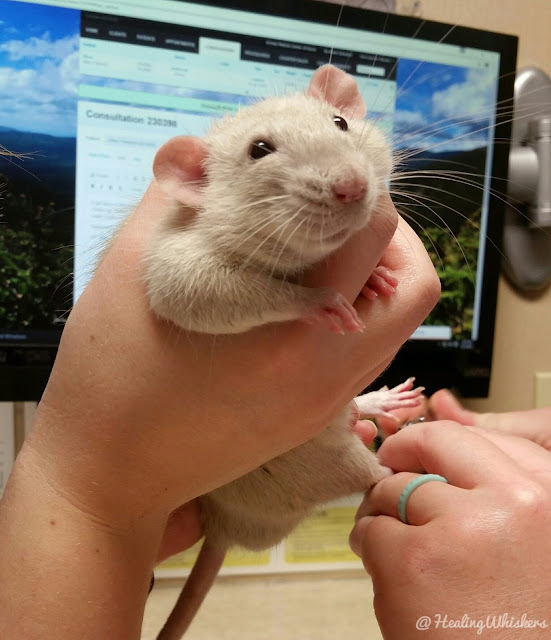 Jasper was super active and loved saying hi to all the vet techs. He even tried typing on their keyboard a couple times, haha. Oliver had no parasites and everything checked out well so his form was signed off by our vet. If your pet needs any accommodations your vet can sign off on those as well. This brought up an idea that I had about infection control. 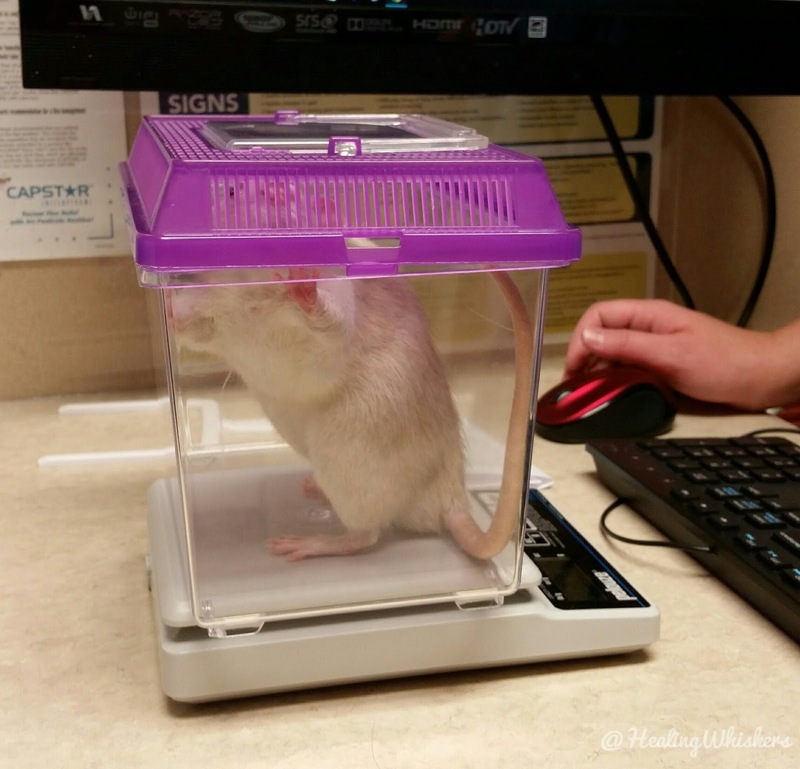 My rat doesn't have any diseases, but rats and humans can transfer things like a cold, flu, or pneumonia. I am worried about what Oliver might get from other people, especially at schools and hospitals. My vet was intrigued with this and told me she was gonna do some research on maybe what I could do to prevent him from getting sick. 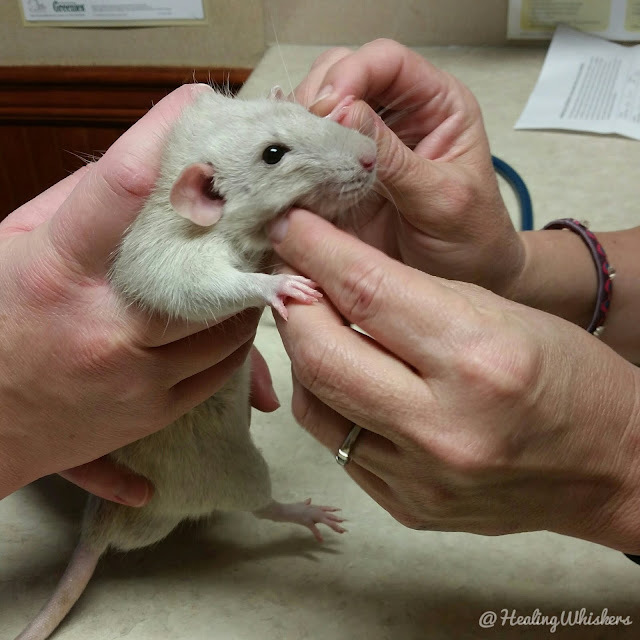 Flu shots for rats are not really a thing, and if they were it would be extremely expensive. So we will see what she says we can do. I know when Oliver gets older we will have to be extremely cautious. 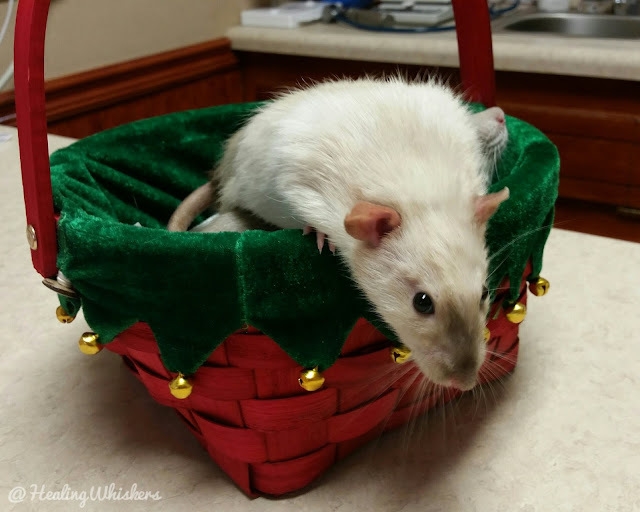 One of my previous rats, Everett, got the flu which turned into pneumonia because of a family member in the house was sick too and it went through the air vents. So I know how it is first hand. We will definitely keep you updated as we learn more! 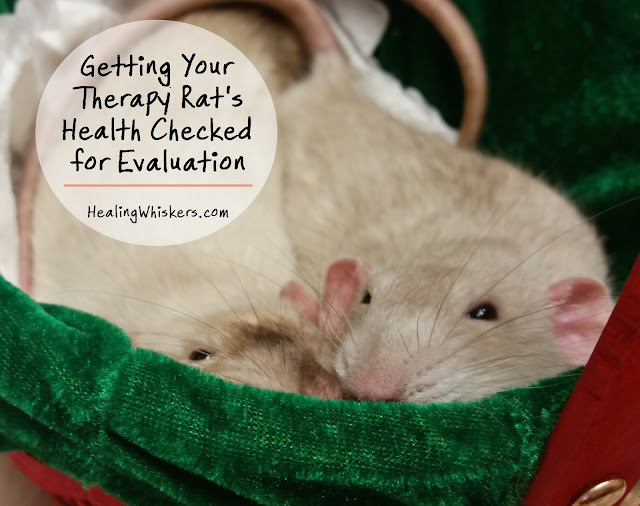 If you have a rat do you take him/her for vet checkups?